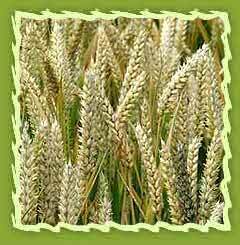 Wheat is supposed to be a native of Central Asia, in the country of the Baschkirs. A tufted annual grass of 60-150 cm height, stems hollow, tufted and erect. Leaves are very long and narrow with lingule and auricles. Chemical constituents:: Wheat germ oil has various chemical compounds that include lecithin, squalene, linoleic, oleic, palmitic and stearic fatty acids. Extraction: It is extracted by the germ of wheat kernel. Wheat germ shows some promise for improving heart. Wheat germ oil contains high levels of Vitamin E oil as well as other vitamins, minerals, protein and Essential Fatty Acids. Essential Fatty Acids support physiological functions and are essential for the health of our organs and overall health. They cannot be produced by our own bodies and instead must be obtained from dietary sources. These are needed for our cardiovascular, immune, nervous, reproductive systems and to maintain healthy cells and body functions. Wheat germ oil has been shown to be effective for the conditions like dry and cracked skin, eczema, psoriasis, prematurely aged skin, stretch marks, dull complexion, tired and overexerted muscles, sunburn and scars. Wheat germ oil consists of the gluten which is used in the preparations of number of products including baked goods, breakfast cereals, meat, fish and poultry products, pasta, pizza, snack foods, tortillas, batter mixes and coatings. It is used in the preparations of pet foods, aquaculture feeds, chewing gum, beverages, biodegradable surfactants and pressure-sensitive adhesive tapes. It is also used in manufacturing paints, lubricants and resins. Wheat germ protein is used in shampoos and emollients. 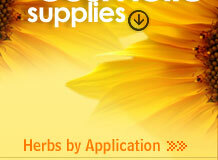 Wheat amino acids are sold under the trade name HydrotriticumTM WAA. Lectins are carbohydrate binding proteins found in wheat germ. They have a broad range of medical and biochemical uses based on their capacity to bind erythrocytes. Lectins can be bound to other molecules such as biotin or peroxidase to increase the value and subsequently used in lather formation in soap industry. It is used ocassionaly in perfumery industry.